Explanation: Location is everything, especially if you want to see a Solar Eclipse. These fleeting events are only visible to those in the path of the Moon's shadow as it races across the Earth. This path is usually less than 200 miles wide while covering only a fraction of a percent of the Earth's surface. And chances are, much of it will be over water. This view of the September 2nd eclipse was recorded by Olivier Staiger from Kingscote, Kangaroo Island, South Australia. 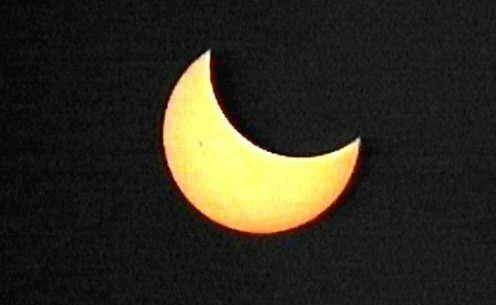 He used a video camera equipped with a teleconverter and solar filter. 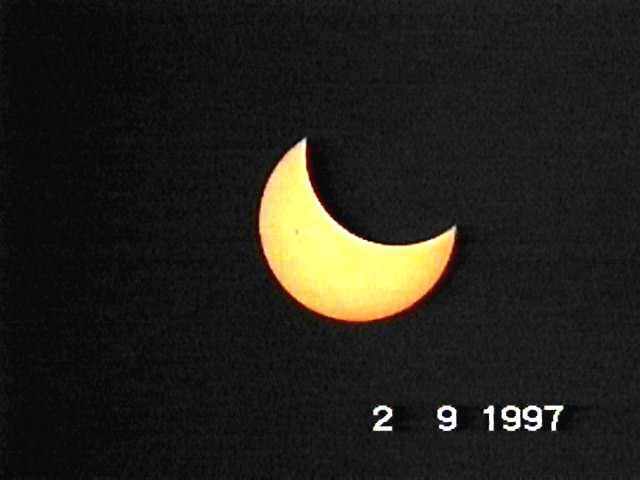 This Solar Eclipse was a partial one, seen here near maximum for Staiger's location. The deepest eclipse - almost 90 percent of the Sun's surface was eclipsed by the Moon - was visible only from Antarctica. Want to see a total eclipse of the Sun? Locate yourself near the northern tip of South America on February 26, 1998.